Below, we break down how to approach each tactic. One effective way to build links is through guest blogging. This tactic involves you publishing your content on their blog. Step 1: Decide on what links you want to use. What page on your website do you want the guest blog to link back to? The homepage? Services? A contact form? Deciding which links you want your guest blog to link back to creates better focus for the blog itself. Step 2: Find link targets. Look back to step 2 in Part 1 (link) to effectively choose your link targets. Step 3: Outreach. Use the outreach tactics from Part 1, including follow-up and dealing with negative responses (Part 1 steps 3-5). Step 4: Build the content. If a link target accepts, it’s time to build the content. Content should be relevant to both the target website and the links you provide. It’s important that content is high-quality; low quality, overly optimized text may receive Google penalties. Step 5: Once published, make sure to share. Sharing the content through email, social media, and other means helps bring traffic to the guest blog. The more traction, the more authority the link will have. Also, it will result in a better relationship with the target site; if they gain traffic on their site from your guest blog, they’ll be more likely to agree to it again. Ego bait works because it appeals to the ego of the link target. By clearly featuring a link target in a blog, you grab the target’s attention and potentially gain a link. A good example of ego bait is a list, e.g. “Top 10 Restaurants in Chicago.” After writing the list, contact those featured. Are they active/have they posted in the last 30 days? Do they have a good social following? Are the contact details available? These questions will tell you whether you’ll be able to contact the target, and the quality of a potential link earned. Link to website and/or social profiles. Explain why they are included in your list. Step 3: Outreach. Outreach is the next step. Follow steps 3-5 of part 1 (link). Also, see below for a sample ego bait outreach email from Moz. Research broken links and identify good targets (more on researching broken links here). Create content that could appropriately replace the broken link. Outreach- see steps 3-5 in part 1 (link). For more info on broken link building, see this resource from Moz. Link reclamation involves fixing or reclaiming links that point toward your site, but without the SEO credit. 404s: Using Open Site Explorer, track links that no longer work. If the link is on a page you run, simply change it. If it’s on a different website, reach out to the website administrator and request a change in link. Non-linking brand mentions: Set up Google Alerts for your brand to know when the company is mentioned elsewhere. If the mention doesn’t include a link to your site, simply email the author to request adding a link. Non-linking images: Similar to non-linking brand mentions, when you find a non-linking photo of yours, simply ask for a link. TinEye and Google Image Search will help you find these images. We’ve covered five of the main link building tactics you should approach when building your SEO value: general outreach, guest blogs, ego bait, broken link building, and link reclamation. All are important in both gaining you new links and exposure, and maintaining the exposure you already have. Want to learn more about link building? 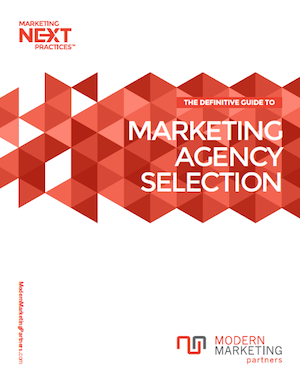 Check out this fantastic guide from Moz that covers all the basics. Need more link building strategies? This resource from Point Blank SEO is INCREDIBLE. This list includes every link building tactic imaginable, and even lets you filter the list by time available, link value, and more. Still require more info? This guide identifies 70+ link building resources.